On July 28 the U.S. Department of Labor (DOL) released a Fact Sheet explaining the March, 2010 amendment to the Fair Labor Standards Act that requires employers to provide breaks for nursing mothers. Got to www.dol.gov and type in Fact Sheet #73: Break Time for Nursing Mothers under the FLSA and you will find a copy. The law requires employers to provide "reasonable break time for an employee to express breast milk for her nursing child for 1 year after the child's birth each time such employee has need to express the milk." Employers must provide the breaks "as frequently as needed", and must give the employee a private place, other than a bathroom, to take the breaks. The breaks need to be of "reasonable" length. The employer does not have to pay the employee for the break time, unless the employer already provides compensated breaks, and the employee uses one of those breaks to express breast milk. A couple of interesting points: (1) the law applies only to non-exempt employees, and not to exempt employees; and, (2) employers with under 50 employees are not subject to the law "if compliance with the provision would impose an undue hardship." Employer complies with all federal and state laws and regulations concerning breast- feeding and nursing mothers and provides assistance for nursing mothers who want to express and store breast milk at workplaces during business hours. Break Time for Lactation Purposes: Employees who are nursing mothers can take reasonable break periods during the workday to express breast milk for their children. Such nursing mothers can take breaks each time they need to express milk beginning from the date of the nursing child's birth and for up to one year. 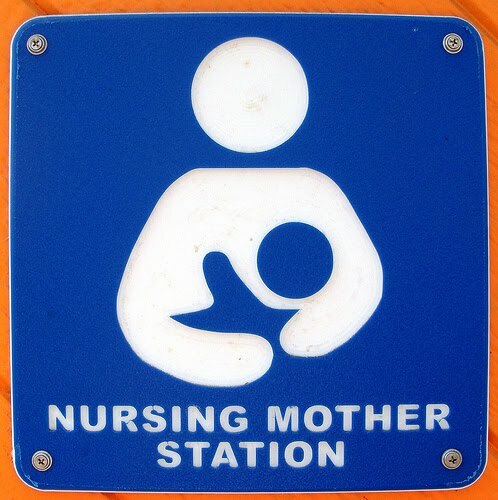 Employees who are nursing mothers can use their meal and paid break times for lactation purposes. Break times that are used for lactation purposes beyond employer provided break times are unpaid. Employees who are nursing mothers should discuss their need for extra break periods to express breast milk with Human Resources. Employer’s Lactation Room: For the convenience and privacy of nursing mothers, employer provides a lactation room that is located at [building/floor location]. This room includes two electrical outlets, a sink, a comfortable chair and foot stool, a small refrigerator to store breast milk during work hours, markers to label bottles of expressed milk, paper towels, dish soap, hand soap, a waste basket, a dish drying rack, a clock, a storage cabinet, and a place to display and store reading materials of interest to nursing mothers. Questions: Please contact Human Resources.